During summer, bloom-forming cyanobacteria, including Anacystis, Aphanizomenon, and Microcystis aeruginosa, dominate tidal-fresh waters of the upper Potomac River estuary with densities exceeding 108 cells l−1. In an attempt to determine the importance of these high cyanobacteria densities to planktonic herbivory in the system, short-term grazing experiments were conducted in July and August 1987. Using size-fractionated river phytoplankton assemblages, zooplankton grazing rates were determined for dominant or subdominant planktonic microzooplankton and mesozooplankton feeding on 14C-labeled river assemblages, 14C-labeled river assemblages enriched with unlabeled cyanobacteria, and unlabeled river assemblages enriched with 14C-labeled cyanobacteria. Grazing rates were estimated for the rotifers Polyarthra remata, Hexarthra mira, Asplanchna brightwelli, Brachionus angularis, Epiphanes sp., Trichocerca similis, and the cyclopoid copepod Cyclops vernalis. Neither rotifers nor the copepod grazed heavily on Microcystis. Rotifer grazing rates on labeled cyanobacteria ranged from 4 to 1,650 nl· [individual · h]−1 while copepod rates ranged from undetectable to 135 μl · [copepod · h]−1. Grazing rates on labeled river phytoplankton assemblages were 4–100 times higher than noted for zooplankton feeding on cyanobacteria. The addition of the colonial alga to labeled river phytoplankton assemblages resulted in mixed zooplankton responses, that is, lower and higher grazing rates than observed on river assemblages with no added cyanobacteria. Total zooplankton demand for cyanobacteria and river phytoplankton assemblages was estimated for the study period July–August 1987. Rotifer plus C. vernalis herbivory would have removed 1–5% and 49%, respectively, of the standing stock of the two autotroph pools each day. Literature-derived clearance rates for Bosmina indicate, however, that herbivory by this cladoceran could increase demand to 24% and 60%, respectively, in bloom and nonbloom assemblages. 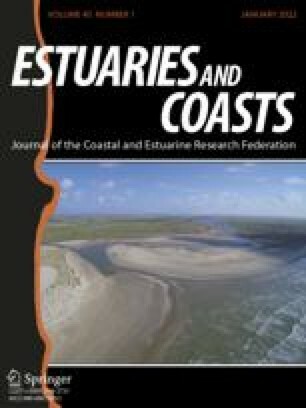 These data suggest that the majority of cyanobacterial production remains ungrazed and may be transported to the lower estuary for salinity-induced aggregation and sedimentation.